04:45 N2 to Cape Town International. What am I doing at this time on this road? 09:45 Boma, Bass Lake with coffee in hand. Jimny’s waiting outside. Ahh, now I know why. Alan Pepper is a good instructor, but he is an even better story teller. He has fairly strongly held views on matters off-road which I for the most part agree with. He gave us some really good advice and a solid theoretical grounding in 4×4 principles. Then he let us loose on the very varied training ground, always on hand to show, to explain, to guide. Alan has a fleet of 3 manual Jimnys and an automatic Grand Vitare. We took turns getting the basics right and learning to read the road before lunch. That Malva pudding alone is worth the trip to Bass Lake. After lunch the ten of us tackled the more adventurous section. There are one or two inclines which I would have been inclined to avoid on my own. Not with Alan around. What a day. 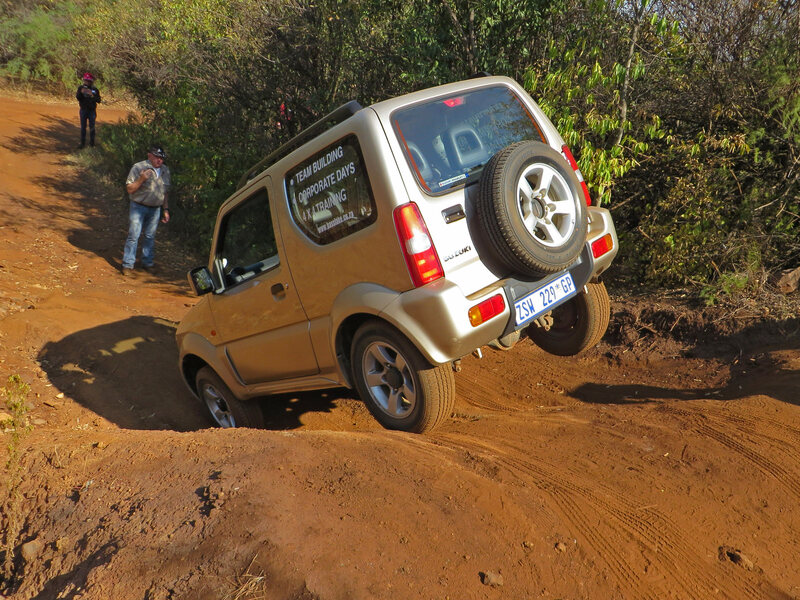 One piece of good advice: “Drive the back wheels”. 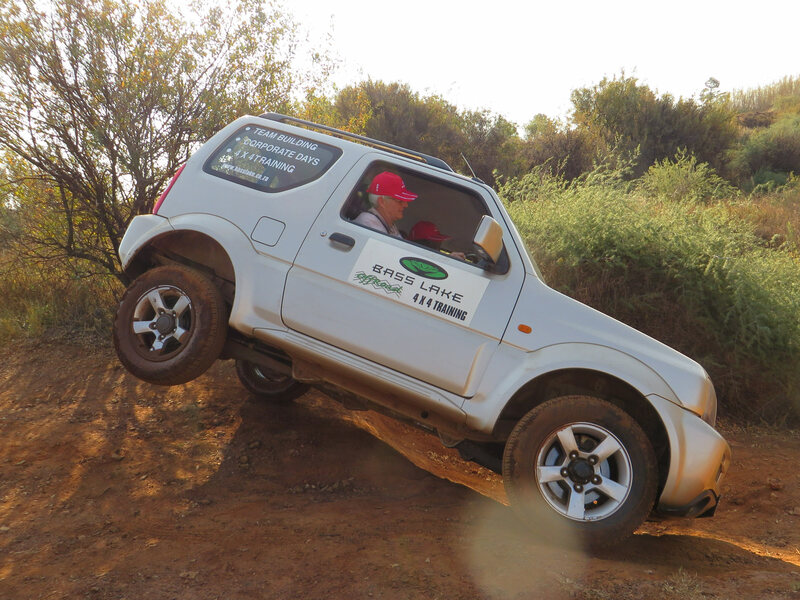 Kyleigh Smith, Suzuki Auto SA’s PR Co-ordinator did a great job behind the scenes. Thank you Suzuki. Speaking of which. Those Jimnys are great vehicles. Simple, solid engineering. The right stuff. 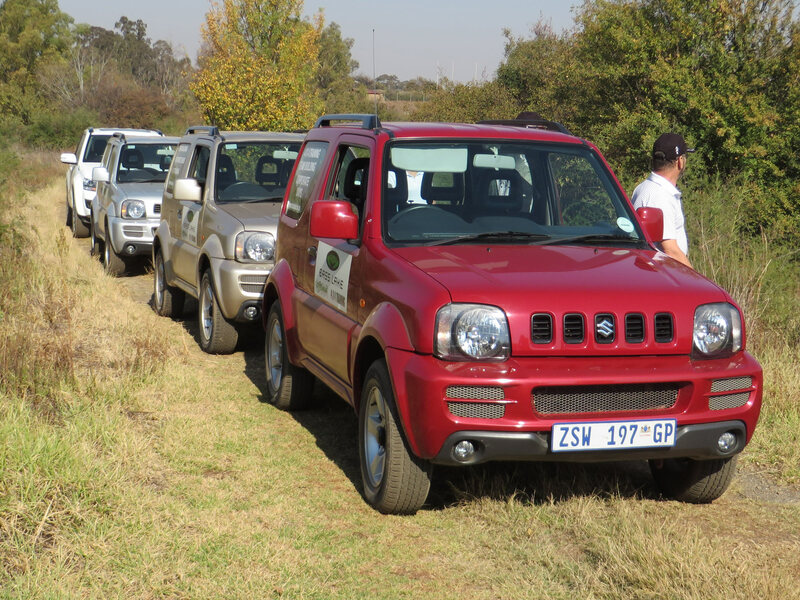 This entry was posted in Destinations and tagged 4x4, South Africa, Suzuki, Training. Bookmark the permalink.